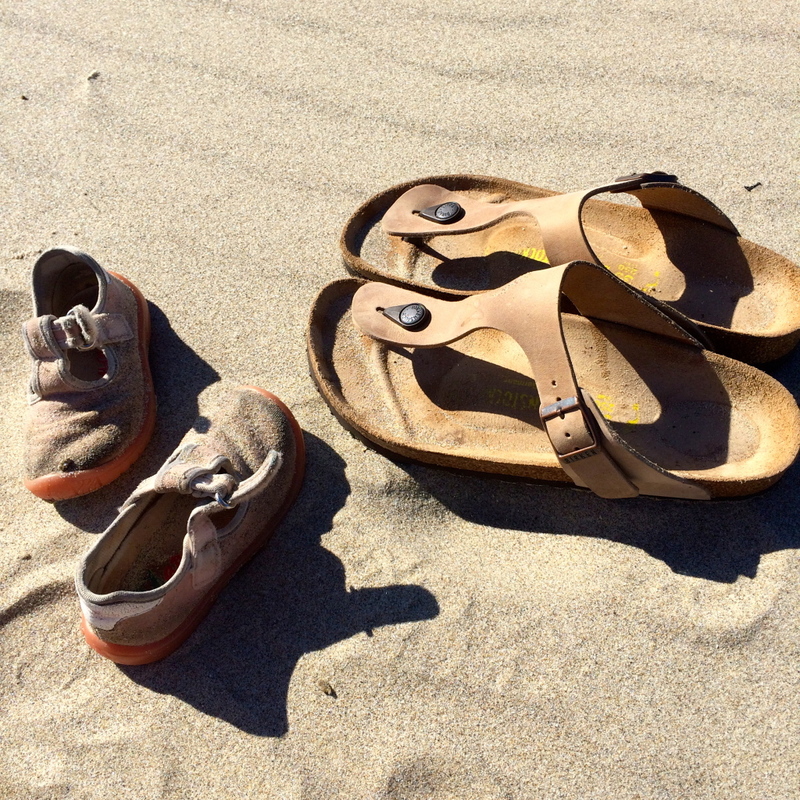 Life is full…and messy, scary, exhausting, exhilarating, rewarding, challenging and beautiful. All of it, fluctuating day to day, moment to moment. Why not introduce more “high points” into our days with one gesture – the delivery of an unexpected note. A simple act, really. 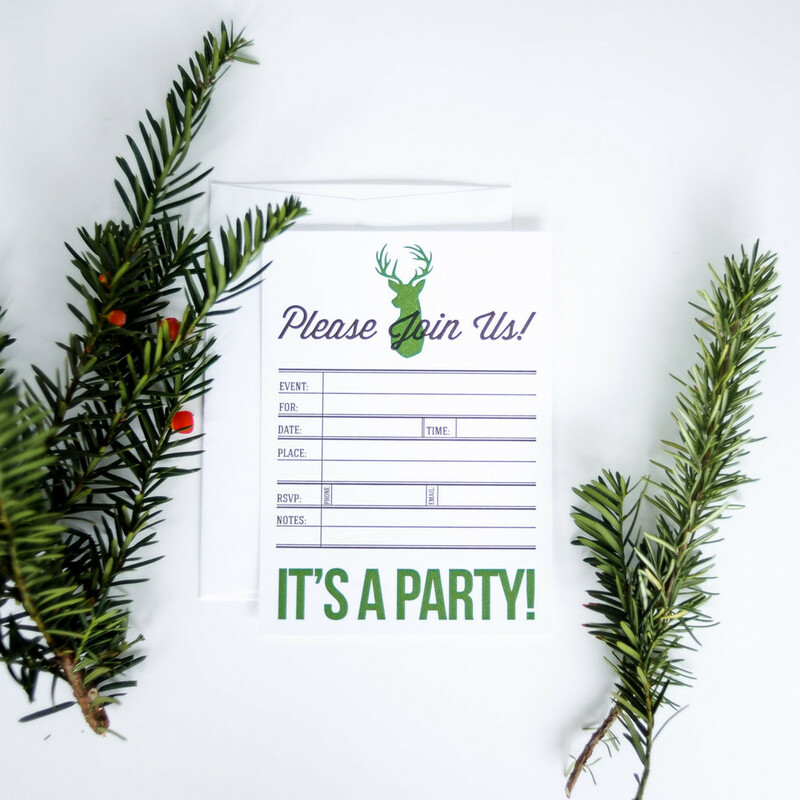 The note doesn’t need to be long, witty, or even written on fancy paper. How about giving thanks to the couple next door who often welcome the neighborhood children into their home with open arms. Or before the day begins, drop a love note in your partner’s briefcase, just because. Try tucking a written message under your high-schooler’s pillow, praising his or her dedication to an activity. Next time you pick up your daily latte, drop a humorous one-liner in the form of a note for the Portlandia-extra barista behind the counter. Or slip a note in your grade schooler’s folder for the teacher to find, a little praise for the energy they put into each day. 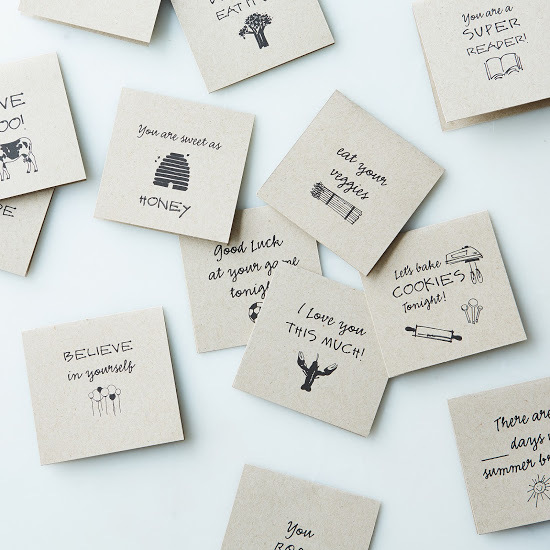 If you need help in the idea category with notes or messages, take a look at these clever lunch notes from provisions. If not, cut out a good clip from the newspaper’s funny section. 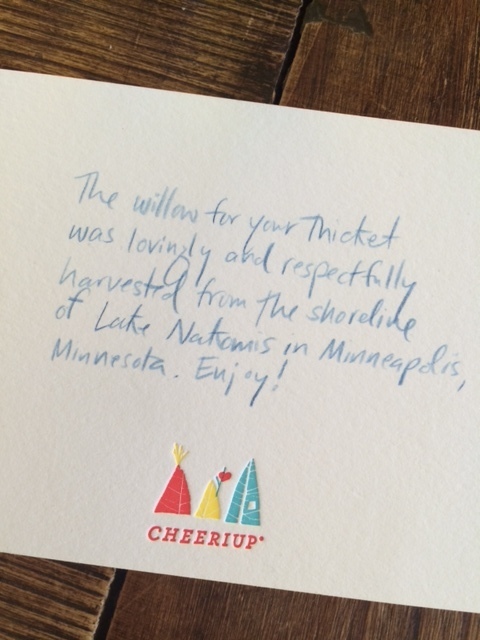 Or handwrite a note on the back of a vacation photo, reminding a loved one of a “high point” from Summer Break. Of course, it’s always easy to get the kiddos smiling in the middle of the day with an unexpected joke! 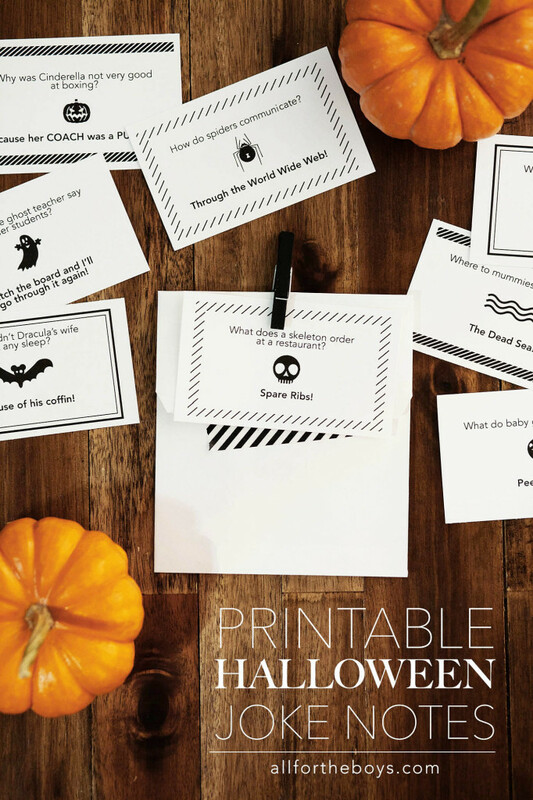 Print off the Halloween Joke Notes from All for the Boys for a guaranteed lunch-table laugh. This act will literally take you 5 minutes, if that, to a make someone’s day. And also your own. Over the years my support for small businesses has grown, thru everything from vendors at local Farmer’s Markets to small boutiques for gifts or personal purchases. 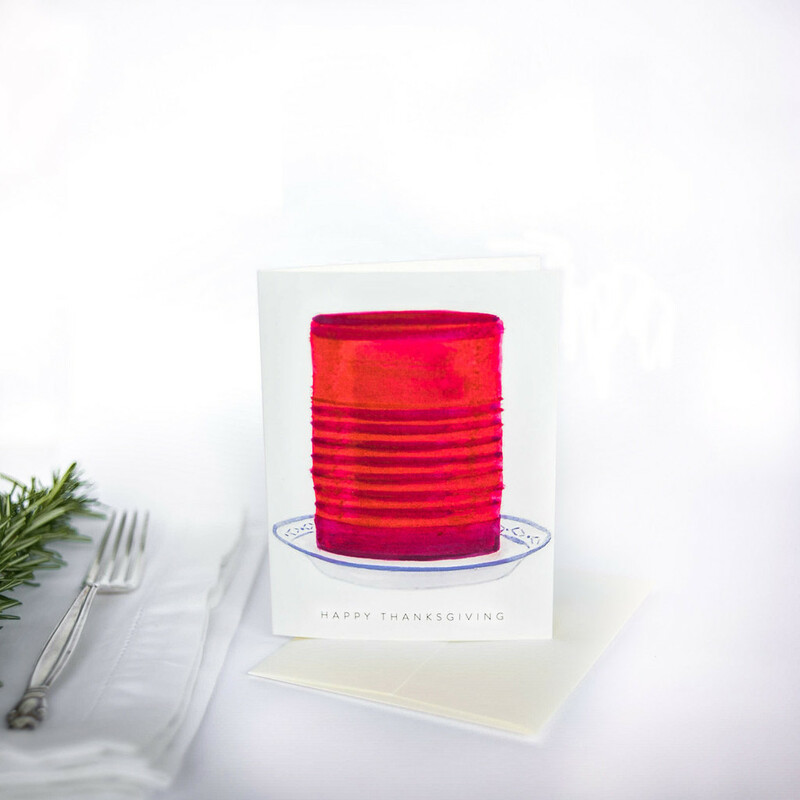 Of course today you never need to leave your home to find some of the most lovely, American-made items. 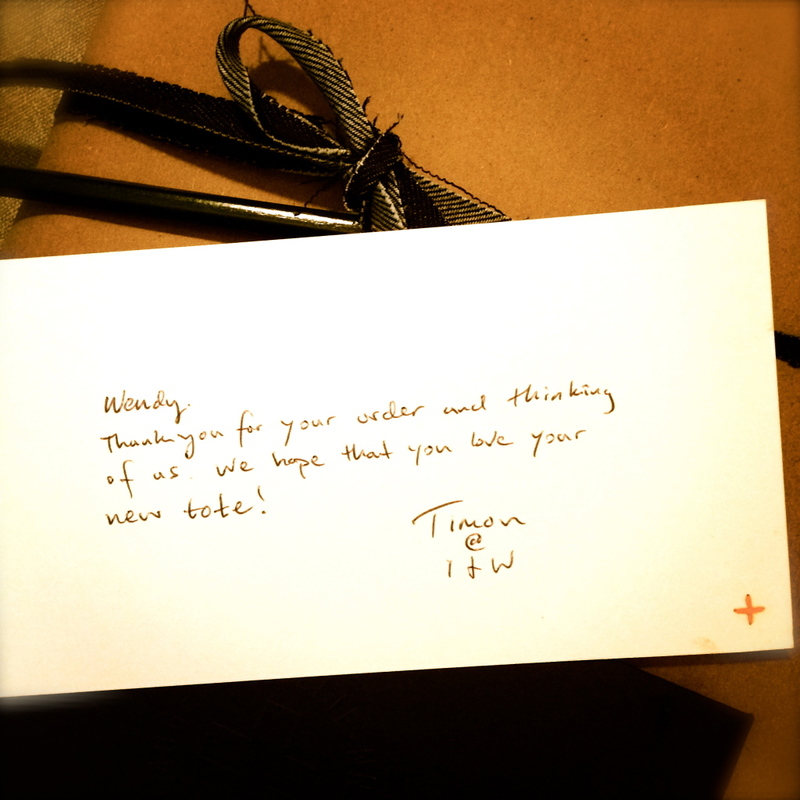 At some point a few years ago, after a couple of orders through the internet, I began noticing a personal touch which often arrived with each item…a lovely written note. 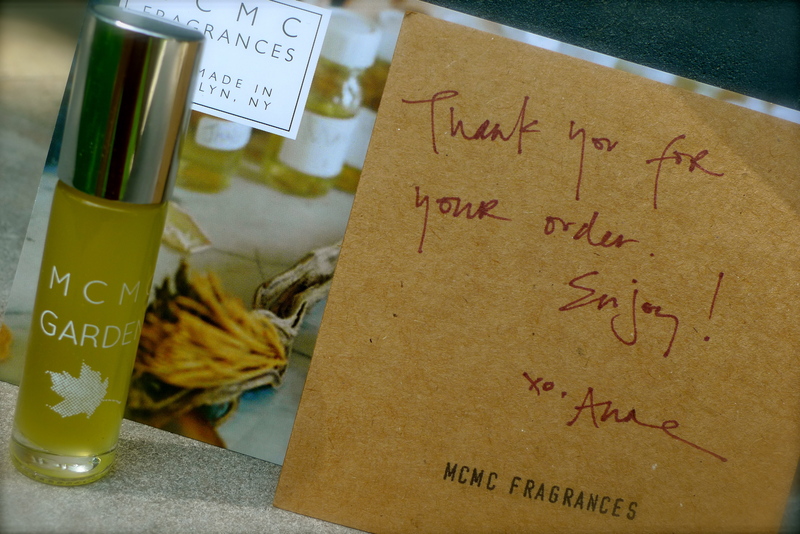 The first one came from a fragrance company – a simple, handwritten card expressing their appreciation of the purchase. But it continued with other small businesses, be it a potter, jeweler, or artist who creates hand-made thickets. If I wasn’t conversing face-to-face with the “maker” behind the counter, then why not thoughtfully connect through writing? These days I’m thrilled to receive a message delivered in any form or fashion. 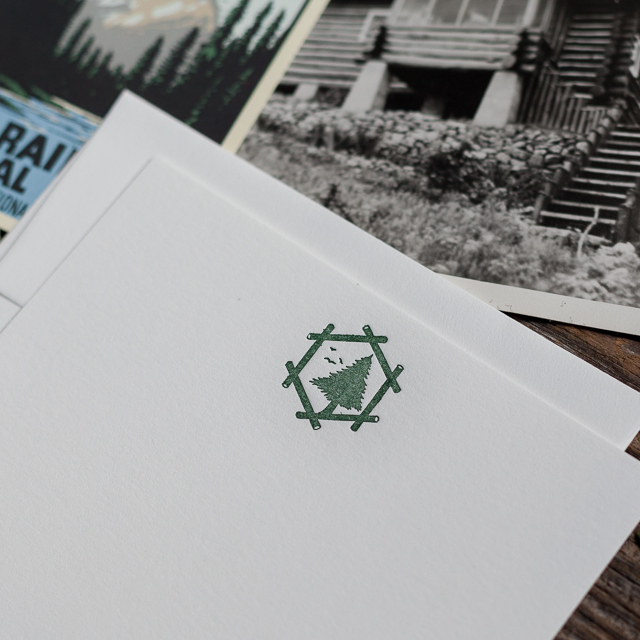 Some notes arrive written on beautiful notecards with their logo letterpressed into the stationery while another may hand stitch their companies logo on a card (seen above with Imogene + Willie above). Others simply use the back of a postcard or business card to write. Either way, these notes are far from generic. They often mention the product I purchased, a suggestion on how I may use the item, and address the card with my name. For all these reasons and more, it’s no surprise I was delighted to open up my own business and have the opportunity to express my gratitude to the customer in writing. It’s my favorite moment when sending a package off to an unknown address. I sometimes share a little history of the products maker or mention how I’ve used the specific paper good. Hopefully the note leaves the impression I feel when receiving such a correspondence. Thankful. 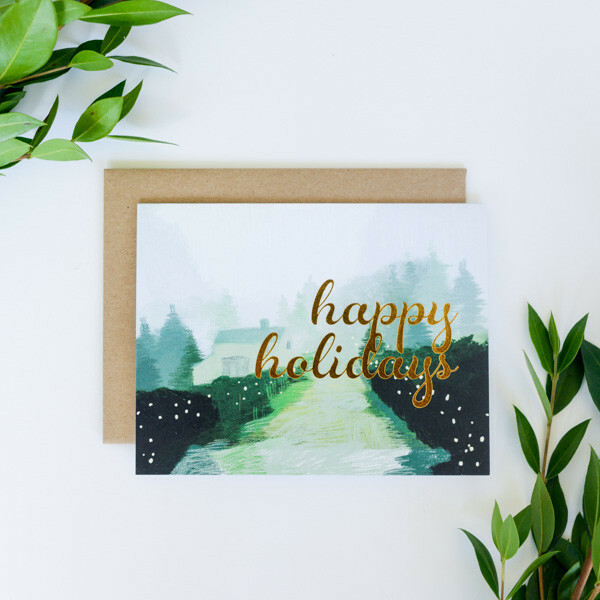 Brown Ink Paper Goods has collaborated with Foxglove Market & Studio and Gina Sekelsky Studio to create Handwritten, a workshop series stemming from a joint passion for the handwritten word and artisan paper goods. 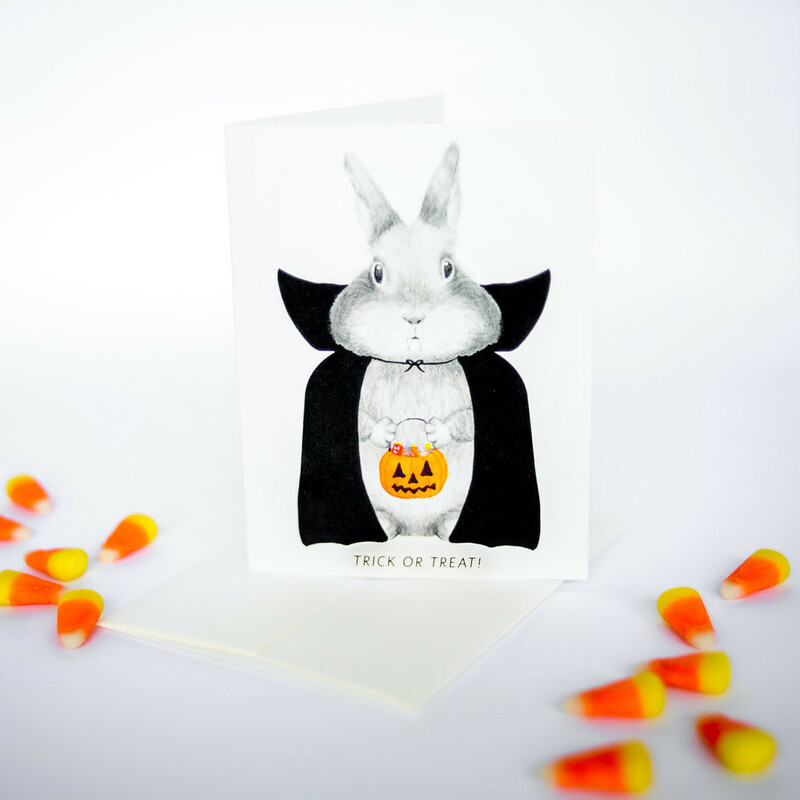 The class will provide an opportunity to renew one’s self confidence in your personal writing, teach new tricks for disguising imperfections, and help bring out a bit of charm and charisma to handwritten cards and letters. 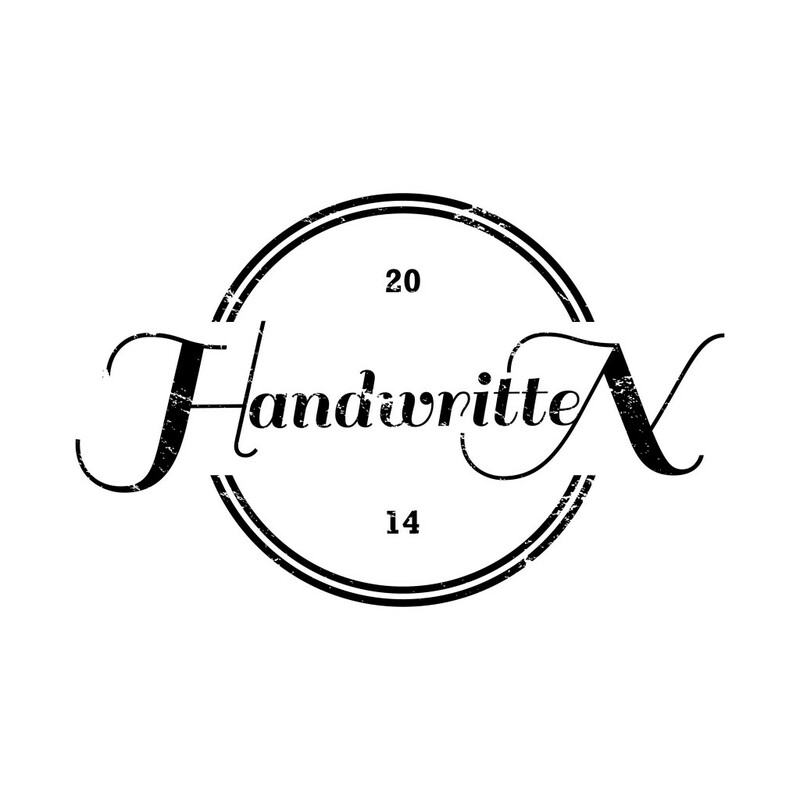 Your fingers will be ecstatic to take a needed break from the keyboard or smartphone, learn something new, and return to what they were intended to be used for…handwriting. Be sure to sign up here soon before the spots are filled by other eager fingers! Lately, reminders of my strong belief in the importance and value of journaling have appeared everywhere. It began a few weeks ago when I received an email from an online journaling service called OhLife stating they were shutting down their business. Unfortunately, they were unable to grow their user base or make OhLife financially stable. By way of background, OhLife was created to help people remember the day-to-day ‘goings on’ in one’s life by emailing you old entries you’d made, which you would reply to with a new entry from the current day. 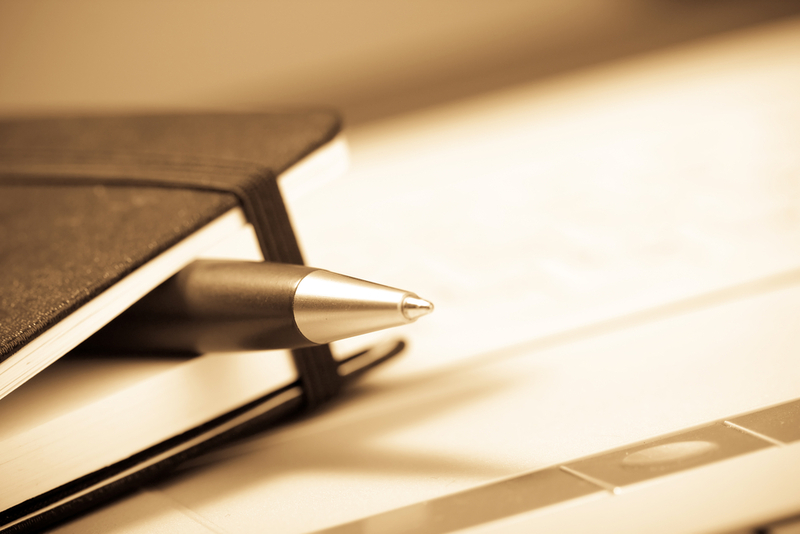 Although I never relied on OhLife for a permanent format of journaling, I often looked forward to the short statements (or high bit of emotion with exclamations attached!) of where I was in my life be it 6 weeks or 636 days ago. Even so, I was always aware of the simple fact: these online entries would never be read by my children, grandchildren or anyone else in later years. Who was I fooling? This was an online service. OhLife wasn’t offering a bond book with bits from the past 5 years of my life. Which is why I continued to keep a journal on a daily basis. I like to be reminded that a year ago I was in Paris with Nick on this very day (ahh, deep breath) and two years ago I was contemplating an online boutique (so pleased it came to fruition!). Again I was reminded of the importance of keeping a journal after spending a few days with my Uncle Will-Bill who has dementia. He recalls bits and pieces of his younger years but, sadly, it’s slowly fading. Thankfully he kept a journal from his 20’s and 30’s which we promised to read together the next time I visit him in Ely. This is his history seen through his writing, found in the books he carried through Europe, Russia, Moab, and the Boundary Waters. These are the years which made him the strong and sweet man he is today. I want to remember these years, his history. In the end, OhLife had the right intentions by providing an easy service for us online geeks to type out our daily activities. But why not grab a pen, say right before falling asleep, and jot down a few thoughts or activities from the day..highs or lows, dreams, expectations, goals you crossed off your forever long list, frustrations, joys, surprises, disappointments, the pleasure of your morning coffee or you child crawling into bed with you in the middle of the night. Bits of what makes your life yours. And ones you’d like to look back later in life, whatever it may bring.